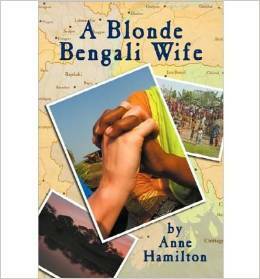 Today I’m extremely excited to be interviewing Anne Hamilton Author of A Blonde Bengali Wife. Welcome Anne, please tell us a little about yourself and your novel. Hi Katie, and thank you so much for having me on your blog. I’m so delighted to be here. A Blonde Bengali Wife is a travel memoir; it’s about my first ever visit to Bangladesh. I went for three months as a volunteer for a charity, fell in love with the country and have been back probably a dozen times since. When I finished the original book, I found a literary agent, Dinah Wiener, and she was so inspired by it, she went off to Bangladesh herself! As a result of that, we established a UK-based charity called Bhola’s Children, which supports a home and school for disabled children there. I’m still a Trustee of the charity. As well as that, I work as a creative writing editor and mentor, and I tutor online and for local community education groups. I’m editor of a local online magazine called Lothian Life and I’ve just finished my PhD. I live in Edinburgh with my 5-year-old son. What inspired you to create A Blonde Bengali Wife? Arriving in Bangladesh was a real shock to the system; it wasn’t a country I knew much about, and there was no common denominator between there and home. The clothes, the food, the culture, were all exciting but it took a lot of getting used to – especially as I was the only Western female that many of the people living in the poorest, rural villages had ever seen. A Blonde Bengali Wife began life as a diary. I wrote in the long evenings, with a torch or a candle (the electricity went off about 4pm) mostly as a way of trying to make sense of where I was and what I was doing – and to have a long-lasting memory of the experience. What has been your route to publication? Bumpy! A Blonde Bengali Wife is set in the first three months of 2002 – I know, so long ago now – and it was first published in 2010. I had a lot of near misses with publishers who ultimately felt that Bangladesh wasn’t interesting enough for the general public. It is, of course, which is why I wrote the book, I wanted people to learn, in an accessible and (hopefully) humorous way more about a country we usually only hear about in times of flood or cyclones. Maybe it wasn’t me who was interesting enough… but eventually a Glasgow publisher, LL-Publications, took in on and produced a hard copy and eBook. It did modestly well, but with the 5 year contract up and the publisher’s relocation to the USA, I had to make a decision what to do next. Eventually, I fixed on self-publishing a reprint of the original as an eBook – and here it is! So many authors choose self-publication now, that I knew it would be a good idea if I had first-hand experience of it to pass on to my editing clients. I wish I had one! It’s a matter of writing whenever I can find the time; jotting down ideas here and there, letting them simmer and then trying to piece it all together. When I’ve a clear idea of what I want to write, I go straight to my laptop, but if I’m not sure, I use my notebook (my whole life is on lists in a notebook) and try and fool my mind into thinking that I’m not really working… it’s amazing how often it works. What surprised you most while writing your book? That I could do it. A Blonde Bengali Wife was the first full-length book I’d ever attempted to write. It also surprised me (and pleased me) that I was still as passionate about it when I finished it, when I edited it, when I re-edited it… And I still am now. I think that’s essential; why would I expect readers to like it if I’d got bored along the way? The very first draft of the book was, simply, the diary. I became addicted to writing my daily journal, even though at that time, I hadn’t considered making it into a book. Since that time, I’ve done a lot more writing, and studying about creative writing, and I’ve realised that I love editing. I’m still slightly scared of the blank page, and unlike so many writers, I’m never, ever brimming with ideas! So, I love that time when the first draft is down and it’s time to play around with it all; a bit like doing a jigsaw. Even though A Blonde Bengali Wife is non-fiction, I do think of the people in it as characters. One of my aims, in fact, was to write a travel narrative that read like a novel – a plot (my work and travel around the country), the characters (the people I met), some ‘conflict’ (I swear every day had some kind of challenge) and the final resolution (leaving the country). But I couldn’t ever forget I was writing about real people – and they are real. I’m still in contact with most of them and when I meet them again, I know I was true to their characters but probably exaggerated their personalities. For instance, Christine was very funny, but I made her the queen of liners (all of which she said but not zap, zap, zap, one after another, and Mr Hoque was (is) mindful of his health and wellbeing, and I made his ‘blood pressure’ a constant refrain. I love writing about writing. Sometimes I have to remind myself to stop, and do some (creative) writing instead. I’m not usually stumped for an answer, but this question has done it! I’ve thought and thought about it and I don’t have a muse. The nearest thing I do have is my own alter ego; the hidden little piece of me that urges me, taunts me, jollies me along – depending on my mood – when the writing, or indeed life in general, gets tough! A very eclectic bunch. I’ve never had allegiance to any one genre: one week I’ll read crime – Michael Ridpath and Mark Billingham most recently. Another day, it’ll be Marian Keyes or Maeve Binchy (I lived in Ireland for a long time; I have a definite weakness for Irish chick-lit). In my PhD, I discovered Flaubert. But my most enduring authors are Daphne du Maurier, Barbara Kingsolver, David Lodge, Alison Lurie… see? The list is endless. I wrote a novel for my PhD. It’s currently called Chasing Elena and it’s set in Cyprus in 1974 and in 2004. I’m currently revising it so it’s sits at the more commercial end of literary fiction… I struggle as I’m not exactly sure what that means; something that will impress a literary agent more than a PhD panel? I’ve also got a few ideas for the next novel, which has something to do with adoption and transgender issues, but more than that I can’t (not won’t) say yet. There are three things I tell all my students. One, write, write, write. Get the first draft written and ignore trying to get it right first time. That’s what editing is for. Two, don’t compare yourself to other people as that’s very likely to knock your confidence; every writer has a unique voice: trust yours. Three, writing really is 10% talent and 90% perseverance. If writing makes you happy (more than it drives you crazy!) then keep at it. 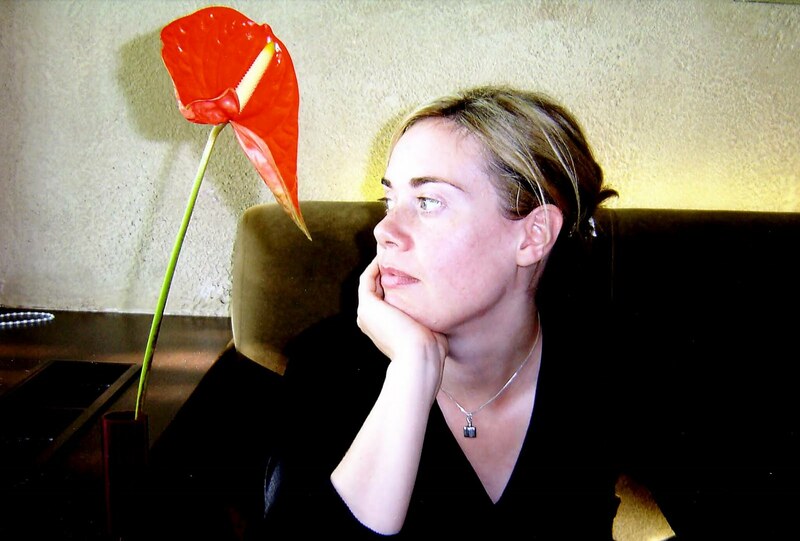 Thank-you Anne for taking time to do this blog interview, it has been a fantastic pleasure to hear about A Blonde Bengali Wife. I wish you all the success with all other writing projects you may undertake in the future. You can Find more about Anne Hamilton and her book by checking out her links below. Hi Katie, and Anne, Great interview! Some very sound writing advice too. 🙂 I look forward to Anne’s next book. I’m really liking these interviews Katie. It’s fascinating how experiences shape writing.